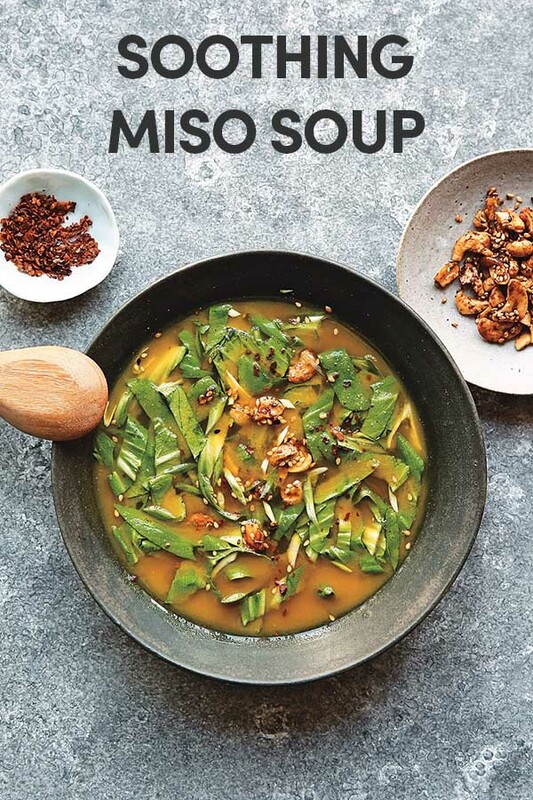 This soothing miso soup recipe from The Ultimate Vegan Cookbook is the perfect detox after a month of eating rich, heavy foods. Keep this recipe on-hand when you need a light snack or when you’re feeling under the weather. You can serve this soup as-is or add plant-based mix-ins, like baked tofu, sliced avocado or sauteed mushrooms. Whenever I feel under the weather, I crave hot broth. And whenever I crave hot broth, this one is my go-to. When I'm not feeling queasy, I pour it on top of already-cooked veggies, scallion, tofu and sometimes even noodles. It's highly adaptable, so tweak it according to your needs, make it your own and sip it up. 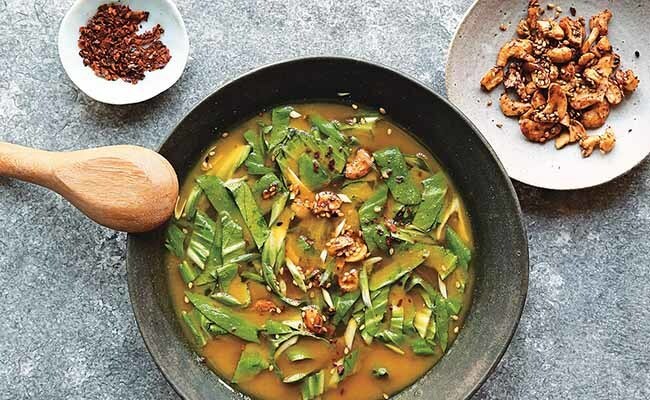 In a small saucepan, whisk to combine the water, kimchi brine, shiitake powder, broth powder (if using), vinegar, turmeric, ginger and garlic. Just bring it to a boil and turn off the heat. In a small bowl, add the miso and 1/4 cup (60 ml) of the broth, whisking to dissolve the miso and combine. Transfer this mixture back into the saucepan with the remaining broth and whisk to combine. Divide the broth between 2 large mugs. Serve immediately. Photo via The Ultimate Vegan Cookbook.